BBH Singapore has named Joakim Borgström as its new ECD, as current ECD Scott McClelland (pictured) is to return to his native Australia at the start of 2017. He has been involved with the BBH network for nearly 20 years, including five years in his latest stint in Singapore. McClelland has been involved in much of the great recent actions in the office, from the quality of outputs, to the growth and diversity of its offer, talent and client base. Borgström joins from BBH London, where he is group creative director. Borgström involved in the Singapore business from November 2016. 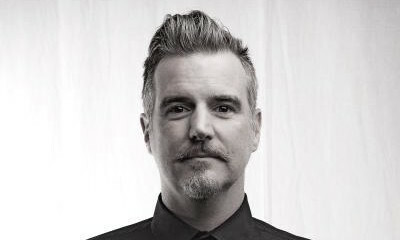 Prior to BBH, he held a number of leadership roles, including creative director/director of innovation at Goodby Silverstein & Partners, San Francisco, creative director at Wieden+Kennedy Amsterdam, creative director and partner at DoubleYou, Barcelona. He has worked on brands as diverse as Nike, Audi, Electronic Arts, Coca-Cola, Google, Doritos, Barclays, Heineken, Chevrolet and on BBH for Mentos, The Guardian and Samsung. Jetstar Hong Kong has yet to jump the regulatory hurdle but the low-cost carrier continues to build its brand. ..
Procter & Gamble HK, Jardine Restaurant Group HK, Hootsuite, Asia Miles, Shangri-La Hotels & Resorts, Strawberrynet, CSL Mobile & ..